You can’t find a healthier city than Boulder. No, really. Want a wellness vacation? Or to at least come home from traveling without feeling guilty, bloated, and exhausted? HuffPost Healthy Living, Niche, Gallup-Healthways Well-Being Index and MSN Healthy Living are just a few of the authorities who have knighted Boulder the healthiest and/or fittest city in America over the years. Boulder’s obsession with health runs deeper than just kale, arugula, and beets (although these do abound, even on pizza). Boulder has also been named one of the happiest places in the country (ahem, mental wellness), and alternative and Eastern medicine comes standard here. The Yoga Journal called Boulder one of the nation’s top-10 yoga-friendly towns — home to famous yogis, like Richard Freeman, and the annual Hanuman Festival, which draws yoga fans from around the globe. 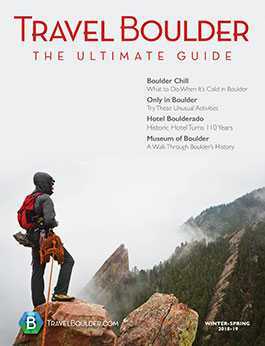 Here’s how to take a healthy vacation in Boulder. You can’t not do healthy here, no matter what you’re looking for.